Fun, Exciting & Hassle Free! 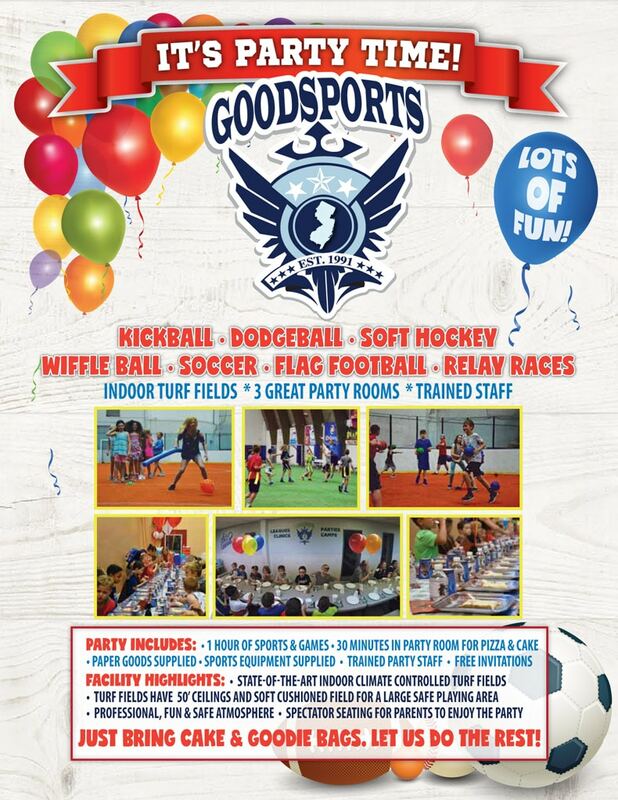 GoodSports USA is the perfect venue for your child’s next birthday party. Bring your child & all your guests to our Indoor climate-controlled Sports Facility for a fun, exciting & unique Birthday Party experience. Parents, all you do is relax… Enjoy a separate sitting area and stay and watch the party! The first hour of your party is for sports. The last 1/2 hour is in our party room where children will enjoy all-you-can-eat pizza & fountain drinks. Note: GoodSports provides all sports equipment for parties except Baseball gloves. *Ask about our special accommodations for young children! Call us for availability and easy booking over the phone or just stop in!